Today at 4 p.m. Eastern Time marks the Non-waiver Trade deadline for Major League Baseball. This magic day is when teams that feel like they are missing one or two pieces to make a run deep into the playoffs make deals with teams that are nowhere near playoff level and want to shed expensive contracts and look towards the following season. Often times a player is traded as a “50-game rental” since their contact expires at the end of the season and they will become a free agent. 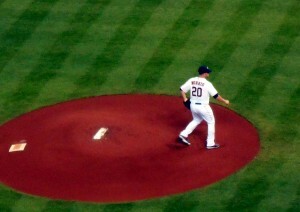 Other players are traded with several years left on their contract. A third type of trade involves a player getting moved to a new team with the old team still paying a portion of the salary of the player that is no longer on their roster. I have never really understood that type of trade since I think that if a player is traded the new team should be responsible for all of the related salary. But for the contenders the trades are deemed worthy as the hope is the player will lead them to a World Series Championship. Sometimes the late season trades work and sometimes they don’t. For the players on the trade bubble the days and weeks leading up to today can be very stressful as they wonder where they will end up finishing the season. The pending trades of players also affects how they are used leading up to any potential trade. With the trade deadline looming many players on the trade rumor mill were taken out of the lineup for games on trade deadline eve. After all no one wants to risk a freak injury negating a trade at the 11th hour. After pitching on Opening Day as the ace of the staff, Bud Norris of the Houston Astros was awaiting his fate at the trade deadline. 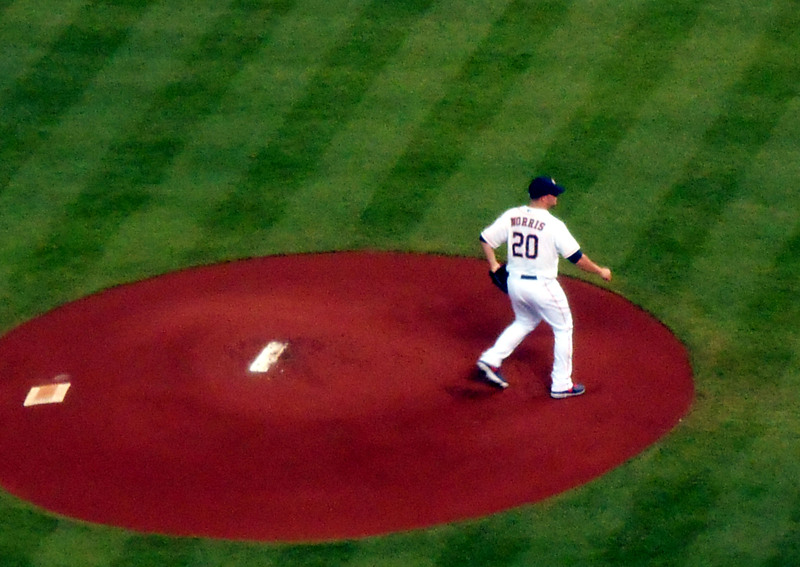 For the Astros this meant that Bud Norris was taken out of the rotation for his scheduled start against the Baltimore Orioles last night. It is very likely by the time you are reading this Norris will have a new team name on the front of his jersey. While many teams from the Atlanta Braves to the Pittsburgh Pirates have been mentioned as a potential landing spot for Norris but no one seems to know for sure who the winning team will be. The only thing certain is that much as they have the past three years the Astros want to get rid of their highest paid players and trade them for minor league prospects and this year that honor of highest paid player to get rid of falls on Norris. I actually hope that Norris gets traded to a contender since watching him pitch a strong game only to have the bullpen blow it in the late innings is getting very painful to watch. While I do not consider Norris the ace of a staff I think he would make a good middle of the rotation pitcher for a team with a strong rotation. And Norris could also potentially join the list of former Astros who were traded and became World Series Champions. Lance Berkman accomplished that with the St. Louis Cardinals and Hunter Pence got his ring with the San Francisco Giants. So it definitely seems like if a player wants to win their best bet is to be traded. Carlos Lee was traded from the Houston Astros to the Miami Marlins at the trade deadline last year as part of an annual housecleaning and payroll dump that has become commonplace at Minute Maid Park. While the final destination for Norris remains up in the air at the time of this writing the Astros have already been active in the trade market. In fact, earlier in the week Astros closer Jose Veras was traded to the Detroit Tigers for some Class-A level talent that may or may not ever see a Major League game. Of course one could certainly argue that as bad as the Astros have been this season they really didn’t need a closer anyway since the number of games that they were in a save situation was certainly a small number. So the closer was sent away and an already porous bullpen was asked to try to pull together and not blow so many leads. That is the risk teams take in the trade the present and hope for a brighter future philosophy. The Pirates have used that model for over two decades before finally posting winning records. To put that in perspective there were people who were born and graduated community college without ever seeing the pirates have a winning record. While the Astros have not had quite as many years of futility so far there is very little to give one much confidence of that changing any time soon. So the process of acting as a feeder club to the contenders while rolling the dice on unproven talent will continue for the foreseeable future. And with far more pretenders than contenders each year the non-waiver trade game will continue year after year until a time when the playing field is more level between the haves and the have nots. Now if you’ll excuse me, I am off to check the wire to see what washed up prospects the Astros are targeting next. This past Saturday in Arlington, Texas, Ivan “Pudge” Rodriquez became the 16th person to be inducted into the Texas Rangers Hall of Fame. 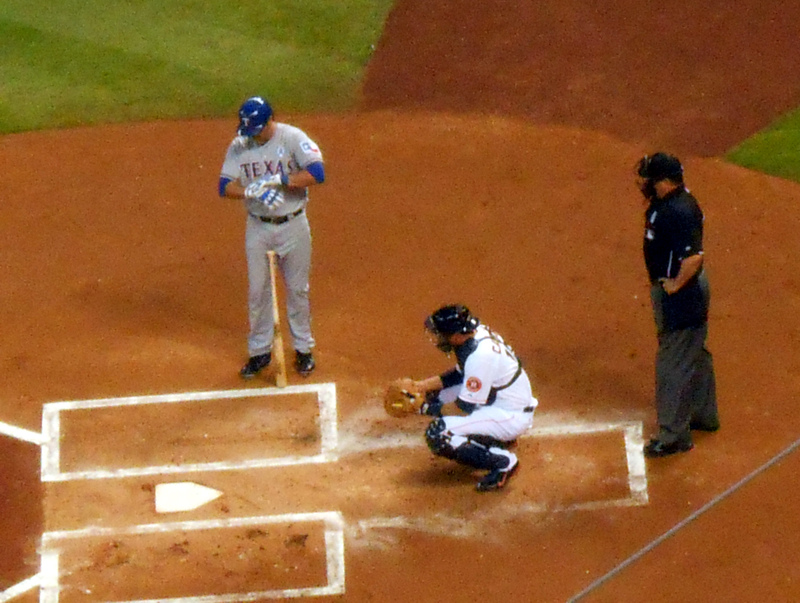 The induction ceremony occurred prior to the Rangers and the Orioles taking the field. And while the game itself clearly belonged to the Orioles, the pregame ceremony was about honoring Pudge for his time as a Ranger. During a 21-year career that started in 1991 when he was only 19-years-old, Pudge was voted to the All-Star game 14 times. He was named the 1999 American League MVP and earned seven Silver Slugger Awards with six of those coming during his 13-year tenure with the Rangers. Ivan “Pudge” Rodriguez became the 16th person inducted into the Texas Rangers Hall of Fame Saturday before the Rangers versus Orioles game. While the bulk of Pudge’s career was spent in a Rangers’ uniform he played for the Marlins, Tigers, Yankees, Astros and Nationals before retiring at the start of the 2012 season. While Saturday night was all about honoring his years with the Rangers, I tend to remember Pudge more as a member of the 2003 World Champion Florida Marlins squad as well as a member of the Astros in 2009. 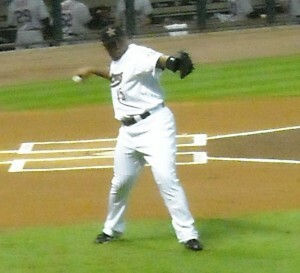 It was during his brief time with the Astros that Pudge broke the record for most games caught. Fittingly enough Rodriguez surpassed Carlton Fisk’s record of 2,226 games caught during a game against the Rangers at Rangers Ballpark in Arlington allowing the Rangers’ fans to take part in Pudge’s record setting evening. Shortly after breaking the record the Astros traded Pudge to the Rangers for the remainder of the 2009 season. 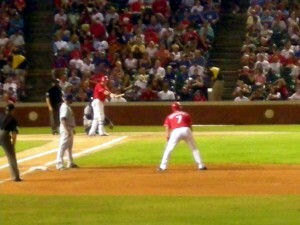 The 2010 and 2011 seasons were spent with the Washington Nationals and Pudge ended his career with a major league record of 2,427 games behind the plate. It is doubtful that his record will ever be broken. I have little doubt that Pudge could have kept playing. The fact that a team did not add him to their roster in 2012 is definitely a travesty in my mind. But baseball is a business and even the best players do not get a farewell tour. Of course the season long tributes that Chipper Jones and Mariano Rivera received are certainly the exception more than the rule. While Pudge was known for having a rocket launcher of an arm and an ability to pick runners off at ease, he was also no slouch at the plate as a hitter. Pudge was known as much for his play at the plate as behind it and leads the Rangers in many offensive and defensive categories. 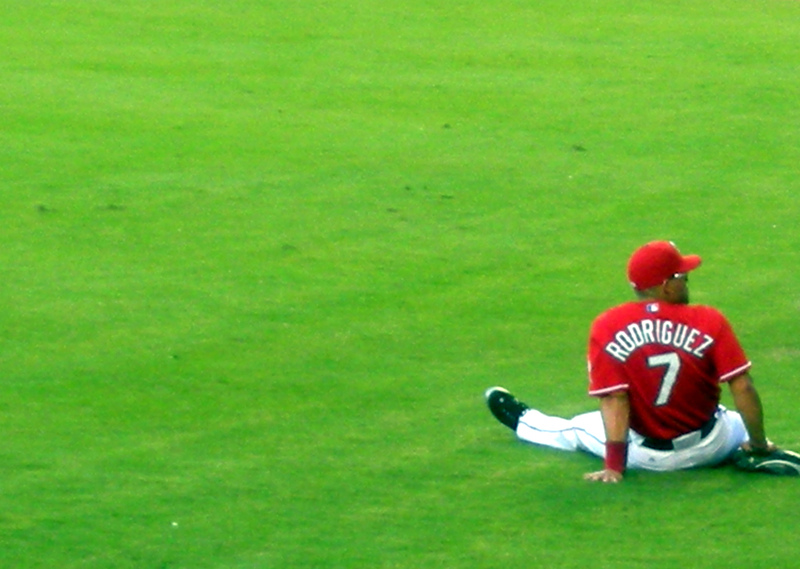 In 1,507 career games with the Rangers, Rodriguez hit .304 with 217 home runs with 842 RBIs. He is second in club history in hits (1,747), doubles (352) and multi-hit games (490). 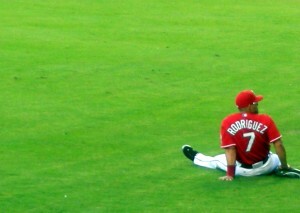 Rodriquez also leads several categories across all of baseball for a catcher. I was fortunate enough to see Pudge play on several occasions late in his career. I was definitely one of the people who thought that the Astros should have kept him around a little longer to help mold their pitching staff. When none other than Hall of Famer, and Texas legend, Nolan Ryan calls Pudge the best catcher ever, one would think that people would listen. And Nolan would know a little bit about catchers and Pudge in particular. During Pudge’s second game as a Major League ballplayer in 1991 he caught Nolan Ryan. Now 22 years later, Pudge works as a special assistant to Ryan to assist the Rangers in several areas, including international scouting, player instruction on the major and minor league levels and talent evaluation. He also represents the team in community and marketing endeavors. 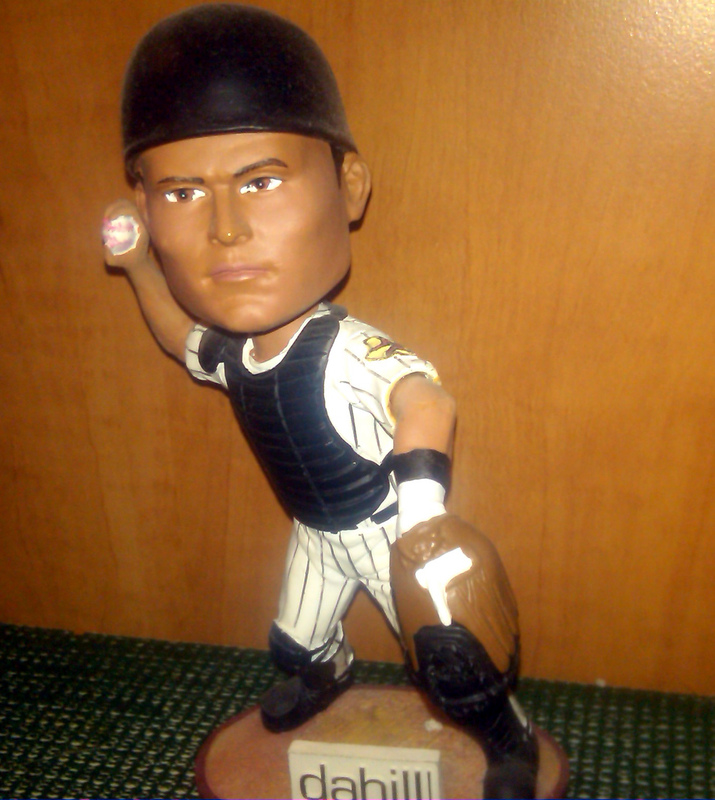 Pudge spent part of the 2009 season with the Houston Astros but was traded back to the Rangers prior to his Bobblehead giveaway game. 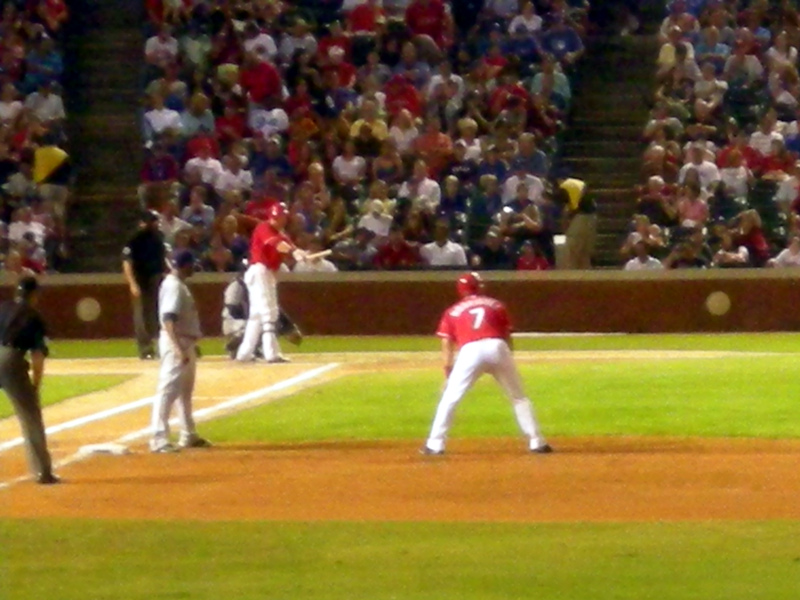 I last saw Pudge play in 2009 after he was traded back to the Rangers. Ironically enough while Pudge was suiting up for the Rangers in a game against Tampa Bay, about four hours to the south the Astros were celebrating Pudge bobblehead day. I guess once you order the bobbleheads you still need to hand them out even if the player has moved on. I went to some Spring Training games for the Washington Nationals in 2010 and 2011 but sadly Pudge did not play in any of those games. Three years from now Pudge will become eligible for the Major League Baseball Hall of Fame and his career numbers should make him a shoo-in for induction on his first year of eligibility. From everything I can tell Pudge played the game the way it should be played. Hopefully that will earn him a trip to Cooperstown to take his rightful place among the other Hall of Famers. There is little doubt that when he is inducted into the Hall of Fame he will go in as a Ranger and that should certainly make his former battery mate and current boss, Nolan Ryan, very happy. Now if you’ll excuse me, I have some baseball games to watch. We Knew They’d Be Bad, But This Bad? With the Major League Baseball All-Star Game behind us, and about two and a half months of season ahead of us, this is the time that most prognosticators roll out their list of surprises and predictions for the rest of the season. This allows them to pat themselves on the back on the things they got right, and remind us how fluid the game is and make new predictions for the ones that they got wrong. Over the past few days I have read many such articles of predictions gone well and predictions that didn’t quite pan out at the midpoint of the season. While I made predictions at the start of the season I do not believe in a mid course correction. Instead we will see how they hold up at the end of the year. As part of this yearly ritual of assessing the season at the halfway point the subject of which teams will be trading away players and which teams will be getting players also comes up. Lance Berkman was traded to the Yankees right at the trading deadline four years ago in the first phase of the Astros epic rebuilding process. He has been on winning teams ever since. The Astros have yet to post a winning record since the trade. July 31, is considered the main trade deadline and a flurry of activity usually occurs with teams far from contending dumping players and payroll to teams that still have a chance at playoff glory but may be missing a piece or two in that winning formula. For the past few years the question of how many games over 100 will the Astros lose and how many players will they trade en route to that inevitably gets discussed in the local Houston media and with a third straight year of futility in progress the national media has been weighing in on the matter as well. So everyone agrees that the Houston Astros and their lowest in baseball by a long shot payroll are not going to the playoffs in any way, shape, or form. In fact, by most estimates, it will be several years before the Astros can even think about such lofty goals. But the baseball season is a long season and the Astros want to put fans in their ballpark since fans equal money and money keeps the lights on. But fans have been staying away in large numbers this season since most people enjoy spending their hard earned money on entertainment where the outcome is not assumed ahead of time. 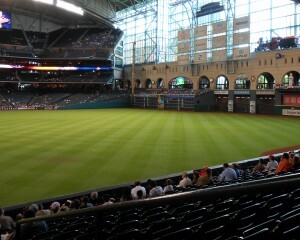 And with very few exceptions it is assumed that when the Astros take the field it will result in a loss. I will give the Astros credit though over the past month their losses have become more creative and usually involve at least one instance where an error of tee ball magnitude occurs. The Astros should embrace these errors and perhaps by making such huge errors the other ballplayers will have to leave the game from laughing so hard and pulling some rib cartilage. I know there have been games that I have watched at home that have left me sore from a combination of cringing and laughing at the ineptitude on display. 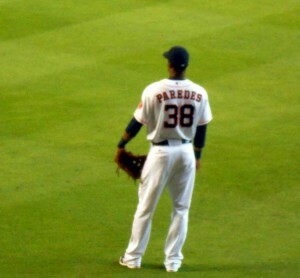 So with it understood that the Astros are bad, really bad, the only question is who is in their same league of badness? For that we can look to Miami where the Marlins are giving the Astros a run for their money in the battle for who can win less. And I think this battle for the worst record in baseball should be embraced by both teams and a World Series of Futility should be created for them. But Ryan you say isn’t it wrong to root for a team to be so bad that they are dead last? 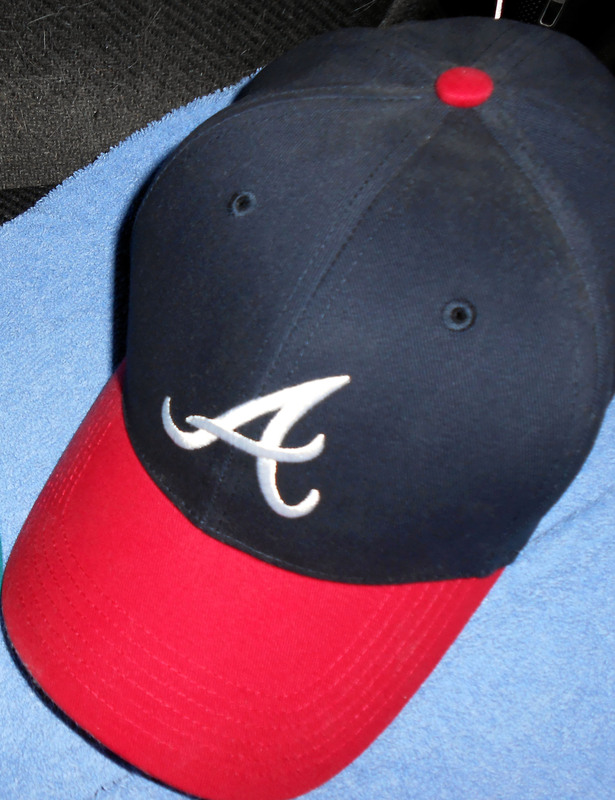 To that I say no, because the team was set up as way to replenish the farm system. And everyone knows the best way to replenish the farm system is through the hit and miss way of drafting prospects who may or may not ever make it to the Major Leagues. Personally if I were running a team I would want a roster comprised of proven players with a few prospects sprinkled in but I am not running a team and no one asked my opinion. So the Astros are looking at things from a strictly pasta throwing kind of way. When cooking pasta one can hurl it at the wall and if it sticks then the pasta is cooked. If the pasta falls to the floor than it is not cooked. 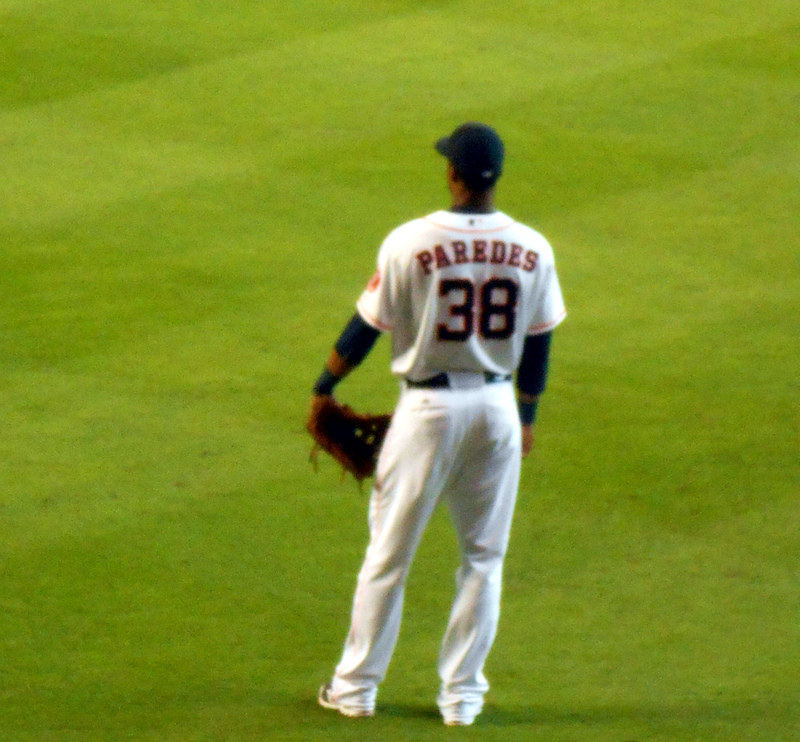 Jimmy Paredes is one pasta, err player, that just has not stuck no matter how many times the Astros throw him at the wall. So think of the Astros as a big pot of pasta. Every so often upper management will take one of the players from their Triple-A club and throw them out on the field and hope that they stick, or at least slide slowly enough down the wall that they can buy some time until the pasta in Double-A gets cooked. To date, most of the players brought up have not stuck to the wall. This can be caused by them not being seasoned enough in the Minor Leagues or it could be that they just aren’t Major League quality regardless of how long they stay in the pot. So the Astros need more pasta, err players, in order to field a competitive team. So a battle for last place gives them something to shoot for. And in a season that was declared lost at the start I think the majority of the fans may enjoy seeing a little competition with the Marlins for that coveted first pick. Plus, if the Astros do end up with the first overall pick next year it would be the third year in a row that they did that. And that boys and girls is called a winning streak which is certainly in short supply when it comes to the Astros. 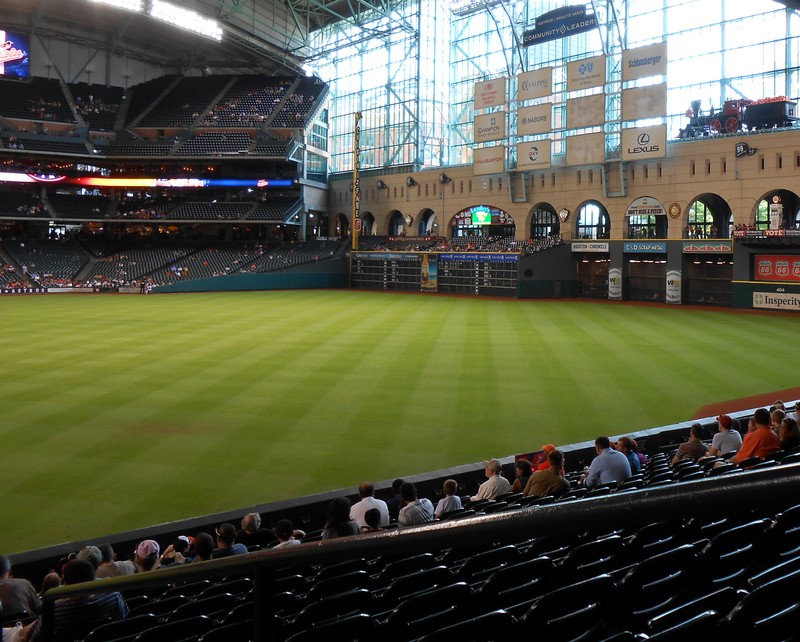 While waiting for the Astros to be competitive again fans at Minute Maid Park can enjoy plenty of elbow room and of course an obstructed view of downtown. So embrace the rebuilding and the futility that comes from it. Watch some players make the kind of errors that just should not be seen at the Major League level and attend a game or two if you are in town. Just don’t expect to see a consistent winner for a few more years. Of course hopefully by then those annoying billboards in center field will be gone restoring the view of downtown. Because when the action on the field is too unbearable to watch it is certainly nice to be able to watch a nice sunset or watch the cars go by. Now if you’ll excuse me I need to get ready to watch some baseball and hope that I don’t end up hurting myself.